Web technology changes rapidly. I mean, let’s face it: the Internet is different today than it was just a few years ago. So when it comes to website optimization, this leaves many people confused as to which SEO strategies are still relevant. Even if you create a compelling, interesting site – employing outdated SEO strategies can affect you negatively. Below I’ve outlined 8 outdated SEO strategies you need to cut out right away. Using the following methods would result in penalties that can hurt your presence in the SERPs. Thankfully, they’re easy to avoid once you’re aware. Let’s get to it. Now’s the time to fess up. Have you used any of these outdates strategies recently? Share your SEO missteps so we can all learn together below. Thank you. Once again your infos are precious. Which method should we use to fill the posts description html tag ? Third party plugin ? One of my websites gets about 70% of its traffic from Google and a further 30% from Facebook and Twitter. Bing / Yahoo is the default search engine for iPhone users that are not using Chrome, don’t want to eliminate them! Thx Brenda! Great tidbits to remember. Always a continuous process. 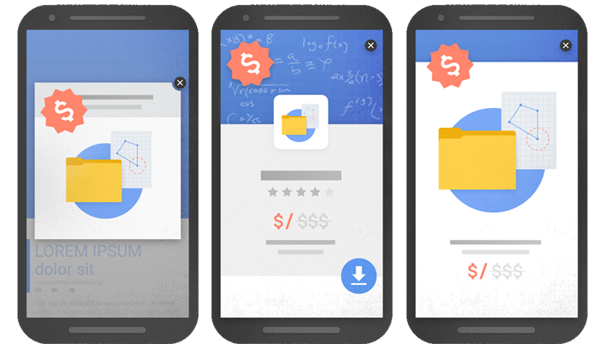 “Stop Using Intrusive Interstitials for Mobile Traffic” – I would add Stop Using Intrusive Interstitials for Desktop Traffic, too! I have a website for selling EAN numbers. During my Christmas holiday last year I have paused my Adwords campaigns, thinking that my #1 organic place will still generate orders. To my big surprise, in the 14 days of my Christmas holiday, not a single order or request comes in. 3 January I did restart the Adwords campaigns and the orders flown in like before. Anybody have a suggestion about the course? Especially the tip to stop posting daily (this mantra is soooo dead wrong) is seldomly seen but so very true. This is excellent. I can’t tell you how many people are using some of these old practices! I Love that DIVI is so mobile friendly. Right on and well said. I talk to people all the time and they don’t want to hear about how old fashioned their SEO practices are. Divi makes website building a breeze because you can check the mobile, tablet, and desktop… we know this, but it’s such a great feature. Btw, I tried to submit my site to Yahoo, but ended up in Bing’s Webmaster…is this correct? Yes, Bing search powers Yahoo search results. They no longer use their own search engine technology. To add, Yelp provide Yahoo’s Local listings. They did away with that too. Yahoo is a shell of its former self. Things may have changed. To be honest, I couldn’t care less about Bing / Yahoo or their Algorithm(s). Bing is (was*) very much using a Google (pre-2010) style Algorithm where keyword rich / exact match anchor text was considered useful for ranking purposes. Sure you can try and get that additional search traffic with “spammy” anchor text. But you run the risk of upsetting Google and losing far more traffic in the long run! Thanks Brenda, These are very useful information about updated SEO Strategies. Can you explain more about point 2 and “Stop using SEO data in your WordPress themes”. I understand the separation of content from presentation regarding HTML. Are you referring to self-coded themes? This article worth read. Good job. Submitting a sitemap is an essential part of getting new sites crawled, indexed, and ranking in search. Is that what you mean? I have multiple client examples of how submitting sitemaps to search engines was an essential part of the SEO process. What is your opinion on claims that apparently dramatic amount of extra code from Divi Builder affects SEO negatively due to lower loading speed? and the fact that crawlers need to read all the extra code too? I am a new member, and got worried about it…There is mixed opinions online, just wonder what is your position on this. We haven’t seen that to be the case. Thanks for sharing..in 2017 we cannot ignore the mobile site and optimization. 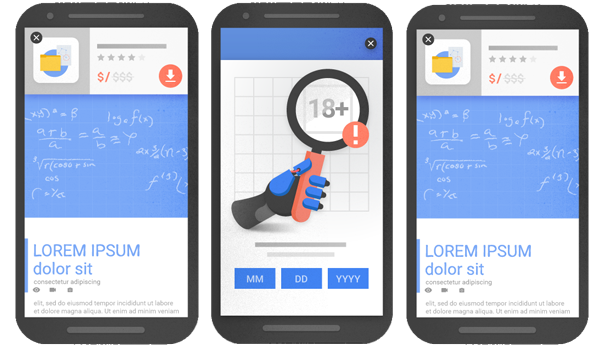 Google give the priority to mobile friendly websites. Interstitials refers to mobile popups. Either ads or email opt-ins are usually what people mean. Informative to say the least! Nowadays it’s really not that instant to rank anymore. What I mean is the fact that if you want to see serp movements – it will take time, period. Un-natural linking and spamming will only hurt your website’s rank and it’s one to be especially careful about. I don’t know what you mean by not submitting your site to google. When you register on the Webmaster Console you are submitting it to google, and it’s something everyone should do. If you mean indexing urls separately then yes, unless you have updated something and google hasn’t picked it up it’s useless to manually send your urls to google. This year I am encouraging all of my internet marketing clients to focus more of their investment toward mobile marketing, as it is definitely where the future of internet marketing lies! Great article and it confirms much of what we have all been reading about search engine algorithms. I see a lot of the top ten lists getting on the first page of Google which may include paid placement. In some cases like restaurants it’s hard to find any thing other than review sites. Isn’t this kind of black hat if you have paid inclusion? Thanks for sharing this post! It’s great content for everyone to remember as we try to build SEO the right way. Thank you! If you want to succeed with SEO today and in the future, you have to deliver GREAT content for your visitors. As an online marketer I know the importance of good and inspirational content if you want to rank high in the search engines. I totally agree with you that black hat SEO is not the way go in 2017. This is an interesting list. Mobile is the new kid on the block. I do post a lot to my blog so maybe I should stop doing that so much.